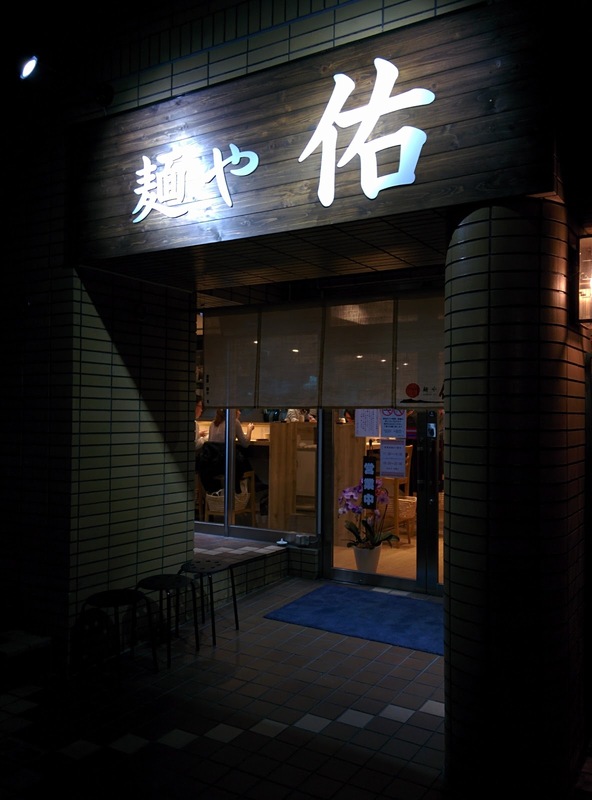 One nice thing about ramen shops that stick around for a while is that people who have been working at those shops for a while go and start their own shops. Such is the case with Menya Yu, opened by a former employee of Menya Taku. Just like Taku they focus on mixed soups, so I ordered the chicken seafood pork ramen with an egg. And a lot like Taku it was. 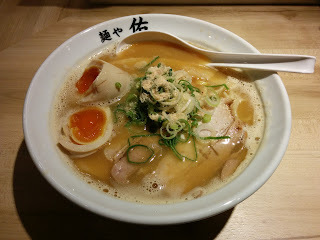 The broth was a syrupy clear-brown, thick with fish and an unusual mixture of pork and chicken. It didn't have quite the same perfect balance that Taku did, but it was good none the less, with firm noodles, some medium slices of chashu, and a creamy and slightly cool egg. I would recommend it for fans who have already been to Taku. I was waiting for this review! haha Not far from where I stayed on my last trip but wasn't sure if it was worth going to specially on a tight sched. Sounds good though. Yeah I'm on a bit of a backlog. Too many places for one trip!